We are a small family breeder in the midwest based in Greenville, Ohio. It all started when we became empty-nesters and purchased our first lab, since then our Lab family has continued to grow. 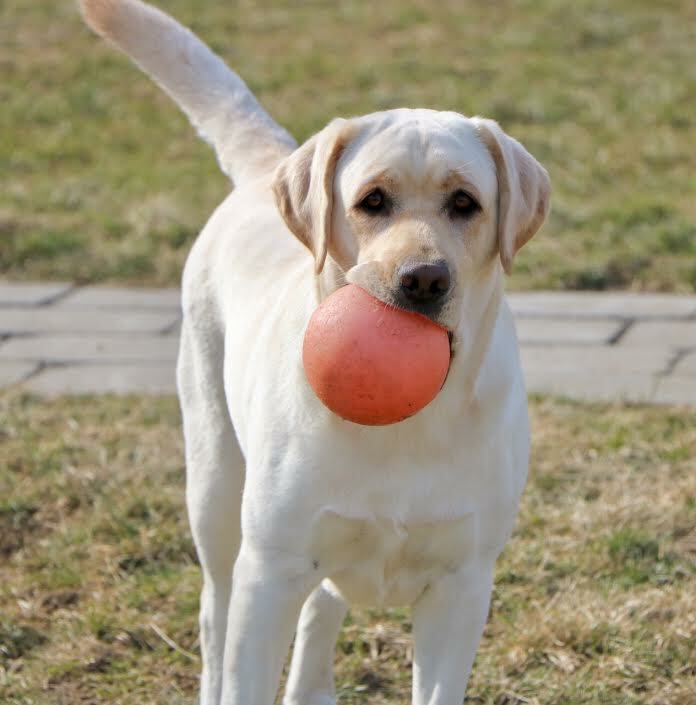 We strive to breed for great all around family Labradors that are healthy, calm, intelligent, and are of the beautiful English type Labs (stocky bodies, square, blocky heads). We're happy to answer any questions you may have. Thanks for visiting! We welcome 2-4 litters a year with the goal of producing healthy, family dogs, all purpose Labradors placed in loving homes. We strive for good temperament, structurally sound, intelligence and to improve the breed. Our Labs are sweet, intelligent, easily trained, and so eager to please. 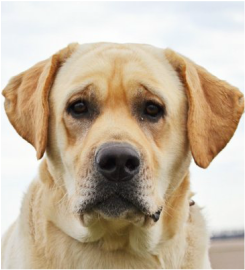 Our Labrador Retrievers have superior pedigrees with champion bloodlines from traditional English lines. Our breeding dogs have OFA's on Hips, Elbows and Eyes CERF. We also do recommended Genetic health testing. We have extremely intelligent Labs and they are doing very well in all their training and we want to show off all our hard work so we entered the show ring. Sunny earned her CGC after only 7 weeks of classes. She earned 2 AKC Titles in July/August 2016 at DDTC. 1st in Beginner Novice A, the 2nd Beginner Rally Novice. She became a Certified Therapy Dog (TDI) August 7, 2016. She is currently working on her CD. Ryder earned his CGC Title (Good Canine Citizen) in June 2016, he also earned his 1st Obedience AKC Title in Beginner Novice B in October 2016. We are an active member of the Dayton Dog Training Club. We strongly encourage you to locate a Beginner puppy class after your puppy has received his recommended vaccinations at 16 weeks of age. Our dogs/puppies are ONLY sold as AKC limited registration, (No breeding rights) to approved families. It's important our puppies are placed in homes where they receive the type of care Lab puppies need. Our puppies are given a thorough check up by our Veterinarian at 6 to 7 weeks of age & given recommended Vaccinations. The puppies are also wormed at recommended times. We keep all puppies till 8 weeks of age, we feel they are better adjusted. Labs take 2 to 3 years to develop mentally and physically, training is an important part of the development of your Lab. We strongly recommend you locate a Beginner puppy class, enroll and take several classes. Labs are very intelligent and require socializing, training and exercise. Labs do not socialize themselves. Commitment to the welfare of your dog is extremely important. This puppy will be with you the next 10-15 years. Sunny Creek Labs is on Facebook. Feel free to "Like" us. We post updates & photos of any new litters we have on Facebook too. You may also enjoy following us on Instagram under the name "sunnycreeklabmom". We care about our puppies for their entire life, not just when they are off to their new homes so we like to stay in touch. We hope everyone enjoys their new family members as much as we do. We look forward to seeing pictures as your Labrador continues to grow.